LED recessed downlight with RF remote control. 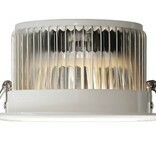 12 Watt Dimmable, variable color temperature from warm white to daylight. Power supply and receiver included. Plug & Play. 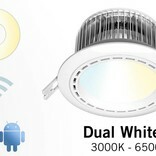 Dual White recessed downlight with a 4-channel remote control. 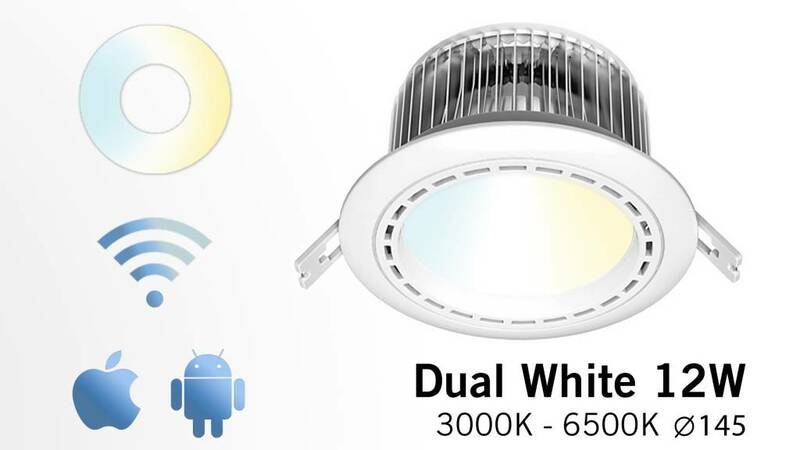 Each LED recessed downlight can be set individually with your smartphone or tablet or by a RC (*). 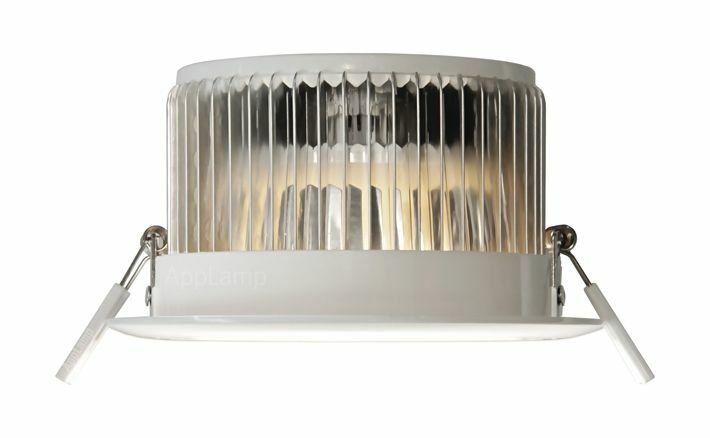 The dimmable downlights come as ready to use kit with an already connected 86-265V power supply/receiver. With the remote control you can control up to four groups of multiple LED spots, dim the LED downlights and select the color temperature from warm white to cool daylight. 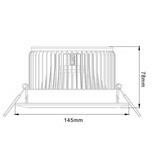 The ideal LED kitchen spot because of its highpowered 12 Watt LED's and also perfect as a warm hallway or livingroom lighting. 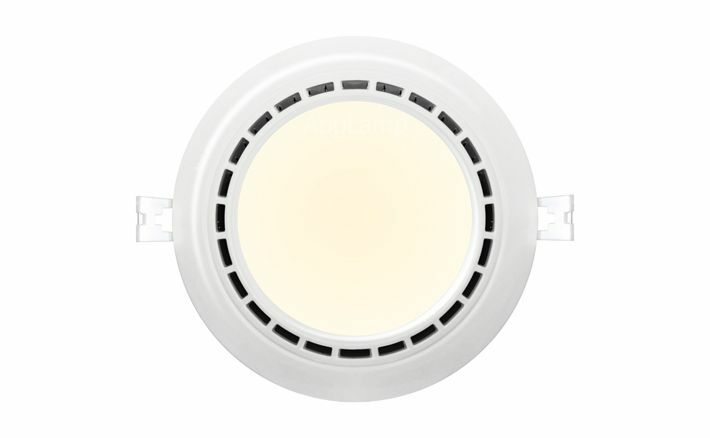 These recessed LED luminaries fit as well in the bedroom and are also comforting you or your children: the built-in LED lamp has a nightlight mode that emits moonshine and reduces power consumption to an absolute minimum. 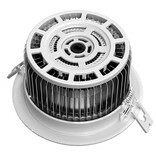 Each LED downlight comes with pre-attached power supply that also serves as a receiver, dimmer and controller. 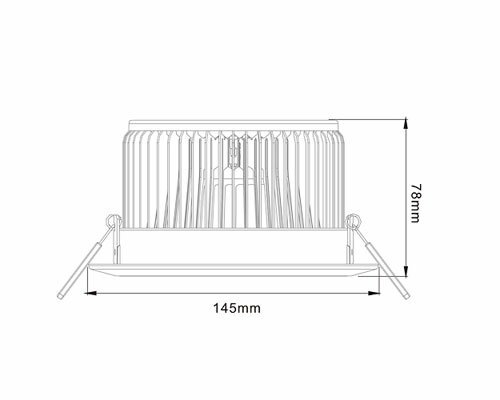 Simply attach the two wires onto the main current grid without any hassle. 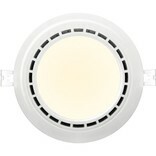 Each downlight has a solid state memory for the last used settings. The light always switches on when the main wall switch is used, even if you had previously switched the wireless downlight off using the remote control or the Wifi APP. The visible outer ring has a diameter of 145mm. 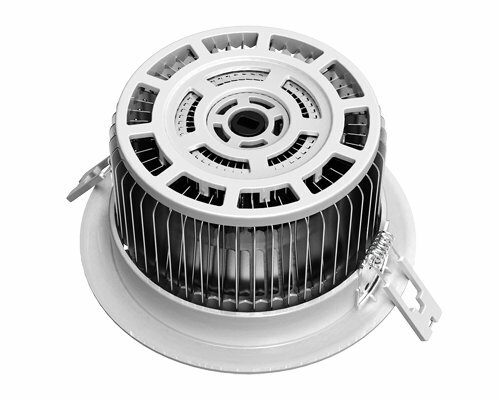 Contents: One recessed downlight with pre-connected 86-265V power supply/receiver . (*) For use with optional Wifi Box(es) with APP and/or by 4-channel Dual White remote(s).